This Indicator Is a Custom Indicator with Sierra Charts, I found another trader using it, This is how he uses it. Sadly its not available in MT4. I am hoping that some of the great programmers on this site may be help, I see this as a very usefull Indicator, a new approach to divergence. Last edited by Calstock; 03-07-2015 at 10:50 PM. 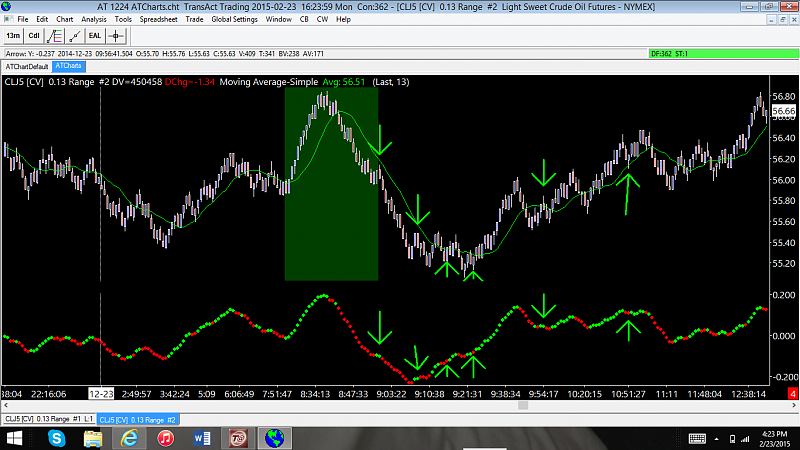 - JurikFilterCrossover_v1.0 600+ indicator is on this post (premium section link). This is MTF indicator with adaptive mode and all kinds of alerts incl email alert and push notification.